Summer is fully over and we can’t deny it anymore. As fall is approaching we can already look forward to Halloween. 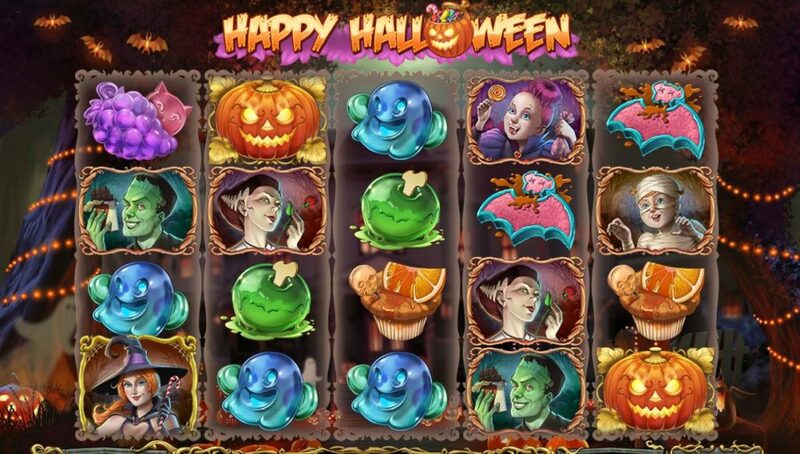 You will probably spend more time at home and that’s the perfect moment to play some Haloween slots. I’ve decided to do a quick research on the best scary slots that you can enjoy during that time. Most definitely you will only get a treat, not a trick in here. Of course, I will start off with a hot premiere – it was launched today on most of the sites that offer NetEnt slots. Bloodsuckers II is a continuation and improved version of the well-known slot Bloodsuckers. The first version already showed us that it’s worth it – it’s the slot with highest RTP from NetEnt and it’s listed in the first place on our list. How about Bloodsuckers II? Return to the player is really decent and it’s 96,94%. You can play for as little as €/£0.25 up to maximum bet of €/£250! I bet that high rollers will be happy to see this. This time something from Play’n GO provider that offer some awesome games. One of them is Happy Halloween. When you enter the free spins game round you will get some extra pumpkins wilds. They will appear on each spin during the free spins. The game also has a nice RTP of 96.50% which should get you some nice treat this autumn. Don’t be scared to try it out. It’s, of course, a brand new slot from Microgaming – premiere was a bit less than a week ago. Scary sounds, trick or treat wheel bonus and boogeyman bonus are only of the few extra features that you will find in this Halloween slot. Don’t be scared by the sounds that will definitely take you into the scary mood. The slot is based on the horror classic movie from 1978. If you need more reasons to try it out, then I will only add that you can hit a nice free spins round in here. Halloween is all about vampires so I couldn’t skip this wonderful slot from Netent. All though it’s been launched over 2 years ago it still keeps up with new ones. Dracula slot includes features like free spins, stacked symbols (including wilds) and of course, free spins. If you feel like trying it out, then here you go, I have 20 no deposit free spins for you, just like that. Scare up some winnings this fall and get some real treat that it’s far better than the Halloween candies.